All of Michelle's offerings come from of a life of service dedicated to the health and healing of our inner and outer landscapes. The services presented below are diverse and are available for individuals, groups, and workshops. 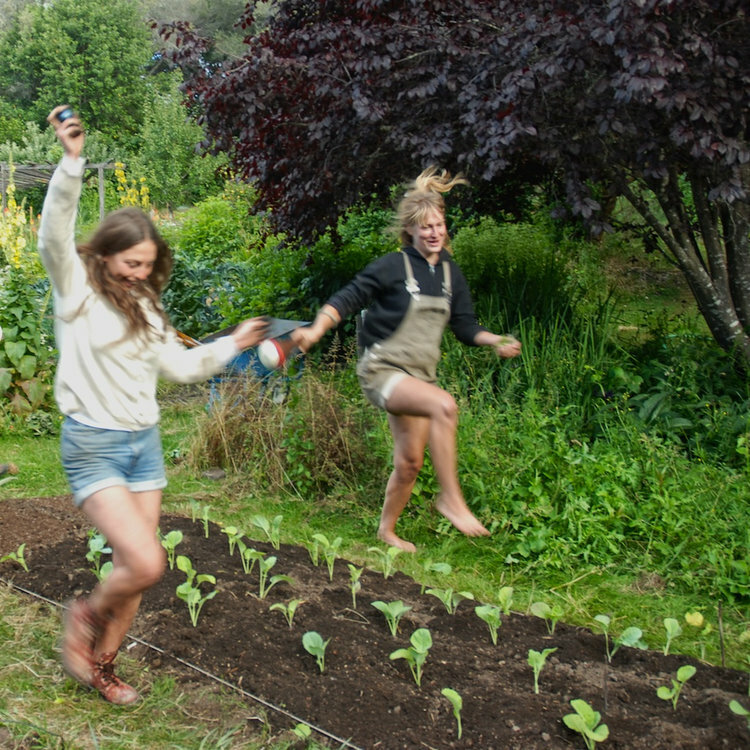 Have you been wanting to develop your skills as a gardener and live more closely to the earth? 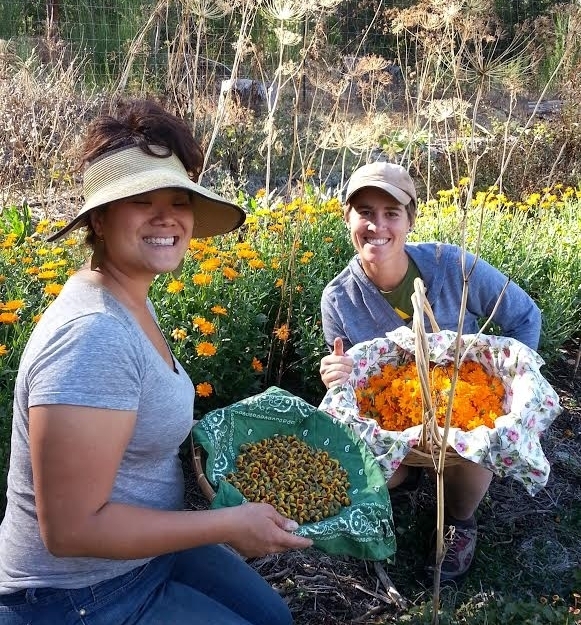 Michelle has been an organic farmer and gardener for 30 years, including the last 12 years managing a 1.5 acre diverse garden at the Occidental Arts & Ecology Center. She loves to educate and inspire people using the Biointensive, hand-tilled method of gardening. She consults on everything from how to use your body correctly, planting schedules for your region, and how to build healthy and fertile soil. She is available to teach individual, group classes, and workshops on organic gardening. Are you interested in improving your and your family's health with nourishing food and herbal support? Michelle’s work as a gardener led her into an in-depth exploration of nutrition and health. Over the years she has studied Western Herbs with Kami McBride and Ayurvedic medicine with Candis Cantin and DeAnna Batdorff. She has also studied Weston A. Price’s work on the relationship between nutrition and physical health. Michelle is available to share her knowledge of Western herbalism and medicine making, nutrition and pre-conception consulting for improved health. She also teaches classes on Weston Price and how to turn weeds into allies. Do you feel that there is something holding you back from expressing your full potential? Part of the sacred journey of life is to recognize and understand what arises within our hearts and minds. As a spiritual counselor Michelle works with people to identify their obstacles and explores ways to find more spaciousness within themselves and live a fuller life. She offers a variety of effective tools that people can use in service to their ongoing personal and professional development. Relationships are one of the most important gifts we are given in life, and require tending and intention. As an ordained Minister in the nondenominational Universal Life Church since 2005, Michelle has been honored to both support couples through challenging times and to celebrate by co-creating a unique wedding ritual. Michelle would love to support you in strengthening your most important relationship. Have you wondered how to bring intention and sacredness to the end of life whether for yourself or your loved ones? Death is a natural part of life. This sacred transition presents us with a opportunity to deeply connect to ourselves, to family member, and friends. Michelle has studied ways to offer the person in transition and their family members end of life support, create a home funeral and spiritual practices to aid with their spirit’s transition. If you are interested in a particular service, please contact Michelle. Her rates are on a sliding scale to accommodate individual needs.